What we enjoy best is taking your ideas and inspiration and creating custom jewelry that is completely new and completely you. 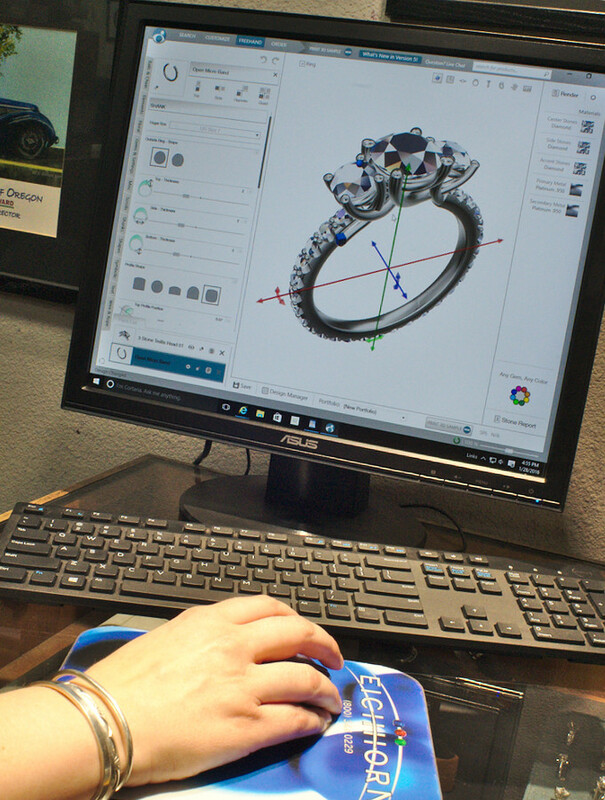 Instead of talking to a salesperson you'll be talking directly with one of our experienced designers and goldsmiths from conception to completion, ensuring the finished work will be exactly what you envision. We work in all styles, from vintage to contemporary, art deco to art nouveau, and everything in between. And we are not just limited to custom jewelry. 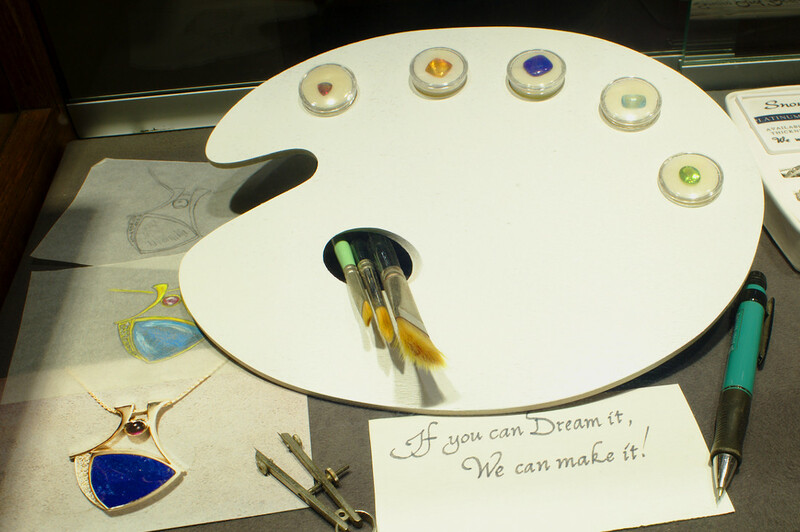 We can craft virtually anything you can dream up. In all but the rarest examples, all of the design and crafting is done here in our showroom and studio. 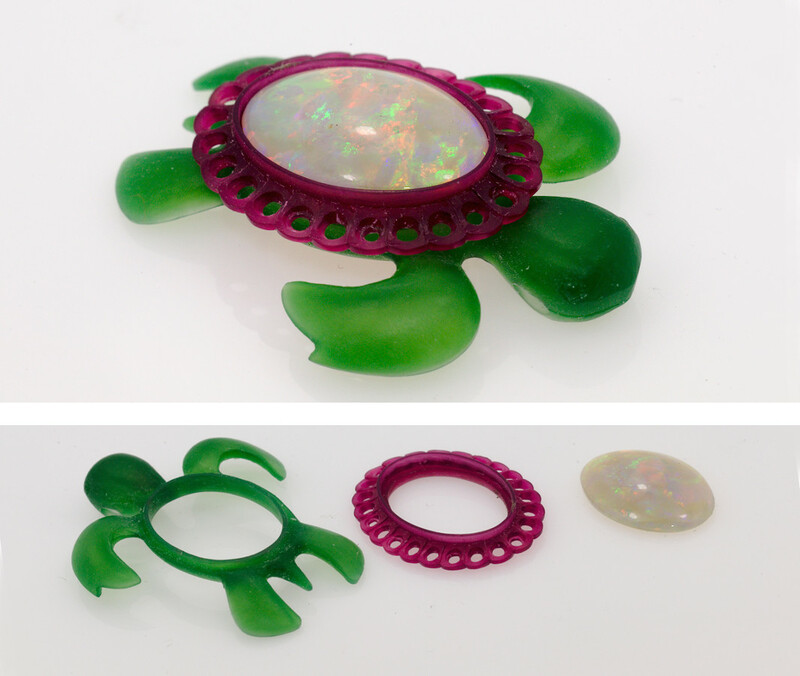 We can design the piece both by hand-carving wax or with a state-of-the-art computer-assisted-drafting (or CAD) program. 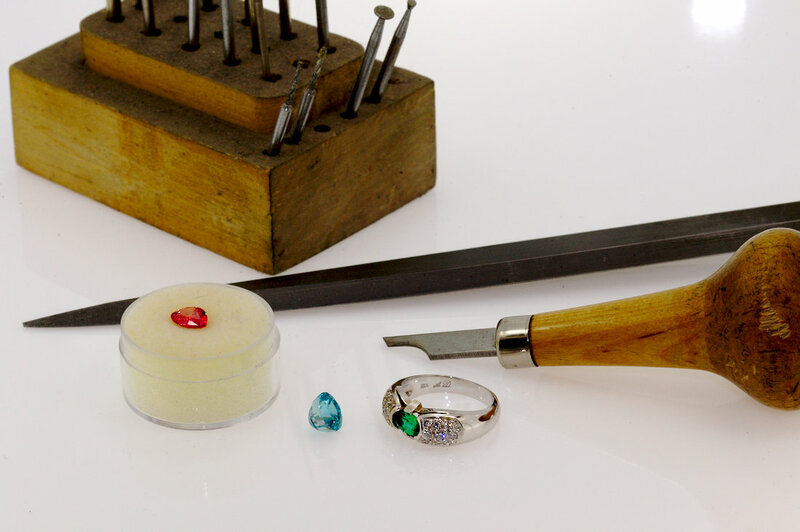 We can also cut and polish stones, cast precious metals, set stones, and put on the finishing touches all in-house. In addition to our talented designers, exceptional attention to detail, and exemplary customer care, we have one of the most extensive and comprehensive inventories of gemstones and materials to choose from. While some jewelers limit themselves to a handful of only the most popular gemstones and materials, we strive to provide as much variety as possible to match the complexity and variety of our customers and their desires. 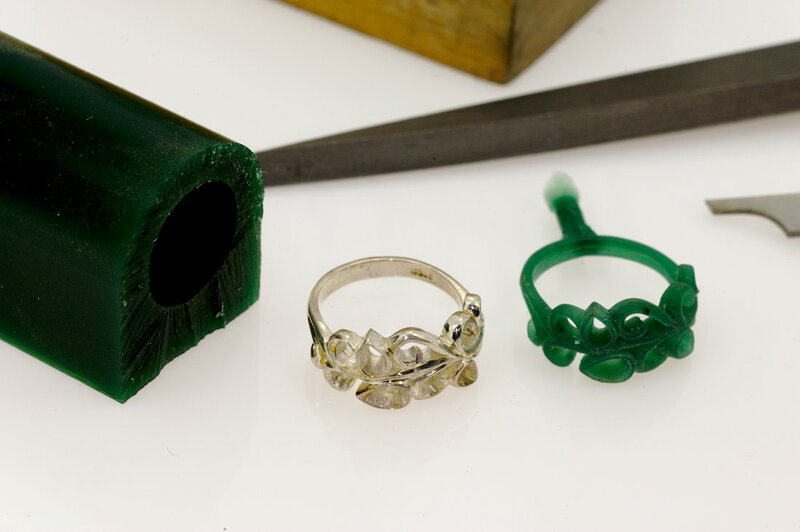 We've created thousands of custom jewelry pieces over our 40 years, but our favorite work will always be the next one. Yours. We have one of the largest selections of gemstones and materials on the west coast. We work exclusively in precious metals and alloys of gold, platinum, silver.